Do you have a refrigerator or freezer that you'd like to convert into a draft beer dispenser, but its low interior height will not allow you to tap the kegs you want with a standard keg coupler? 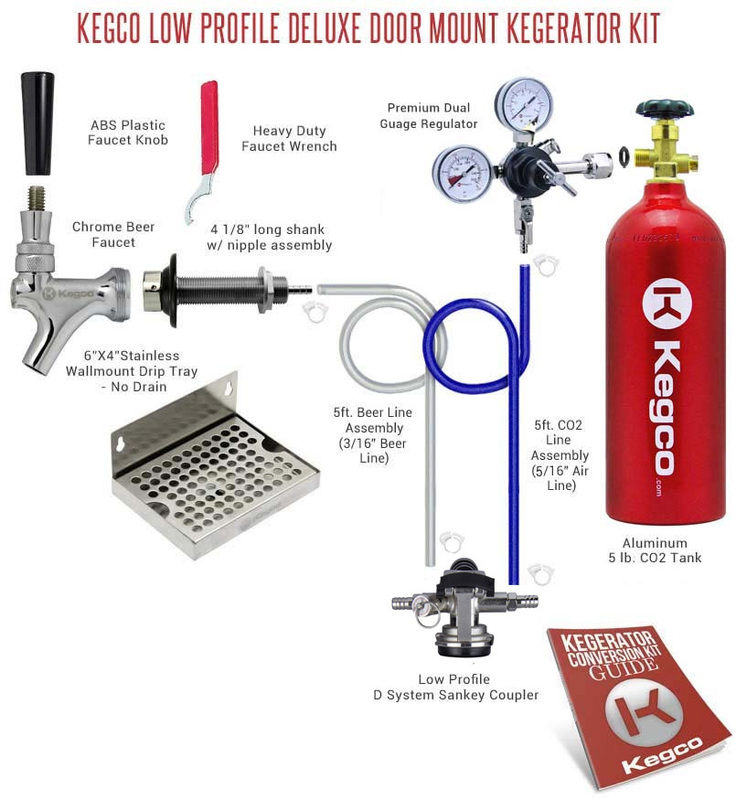 Kegco's Low Profile Deluxe Door Mount Kegerator Conversion Kit is here to help! It features a high-quality low profile D system keg coupler that is shorter than a standard lever handle coupler, reducing the amount of vertical space you need while still allowing you to tap all of your favorite North American store bought keg beers. This conversion kit doesn't just easily solve your height restriction problem, it also includes deluxe features like a lightweight 5 lb. aluminum CO2 tank, a commercial grade double gauge regulator, and a stainless steel wall mount drip tray to make the rest of the dispensing process as convenient as possible. We've also included a detailed instruction guide for a hassle-free conversion, and our helpful product specialists are just a phone call away.